This detailed guide was developed by LEA Global firm member Dezan Shira & Associates and this issue covers the Shanghai Free Trade Zone (FTZ), seen as the testing ground of China’s economic reforms, has garnered a lot of attention. 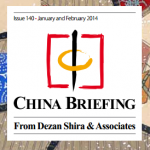 This month’s issue of China Briefing introduces the simplified company establishment procedure unique to the zone and the loosening of capital requirements to be applied nationwide this March. Further covered are the requirements for setting up a business in the medical, e-commerce, value-added telecommunications, shipping, and banking & finance industries in the zone. Sources: Dezan Shira & Associates – www.dezshira.com Used with permission. 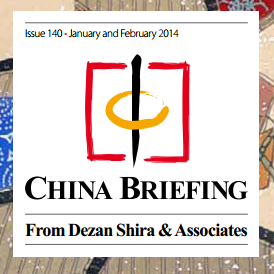 All materials and contents © 2013 Asia Briefing Ltd.